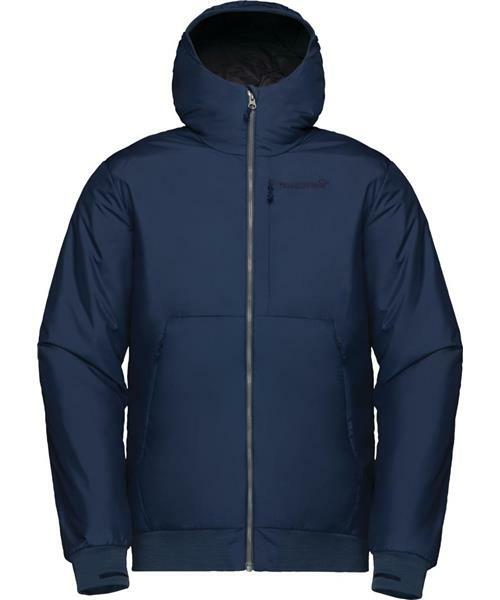 The sustainable røldal insulated hood Jacket meets the requirements of both an insulating midlayer for skiing as well as a super comfy jacket for chill nights commuting. This highly technical hoodie has a windproof recycled polyester face and PrimaLoft® Silver ECO 60 g/m2 insulation to provide the perfect balance between warmth and weight. It is lined with a smooth touch recycled polyamid and has wool mix cuffs with thumb grip and ribs. Other features include a fitted hood with rib, zipped chest and hand pockets, and the sleeves are pre-shaped to give an ergonomic fit. With its clean look and great versatility, it will become a definite favorite on cold days both on and off the mountains.